Because plastic caps do not get recycled properly, currently they "are among the top five most commonly found items of litter on beaches worldwide." 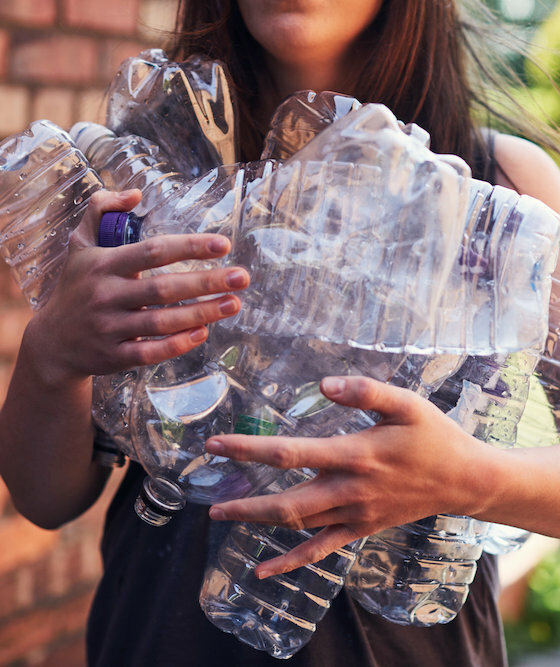 If you’re a diligent recycler who always separates your plastics, paper, and glass, you’re probably well-versed in having to clean out containers, remove labels, and wash some materials as well. But, it turns out one rule you’ve probably been following isn’t necessary at all–or even helpful to the environment. For years, recyclers were told they must remove bottle caps from plastic water bottles and flatten the bottles before putting them in the recycling bin so they wouldn't cause jams in processing machines. It turns out, neither of those steps are necessary anymore and may actually be doing more harm than good. In the past, the APR explained, the plastics recycling industry was not able to effectively recycle bottles with caps still on. During that time, messaging went out that people should remove the caps to ensure the bottle got recycled. However, recycling collection and processing technology has vastly improved over the years, which means you no longer have to take the extra step. Caps, the APR added, are typically made from “high-density polyethylene (HDPE) and polypropylene (PP),” both of which are in high demand for recycling in both domestic and export markets, so recycling the caps could actually do your local recycling plant a big favor. Recycling plant PetStar produced a video breaking down how the machinery processes PET bottles with caps, which is the kind of food-grade plastic most of us are using and recycling often. Additionally, the APR is changing its tune on flattening bottles. That’s because, as it noted, when a bottle is flattened it can accidentally be sorted into the paper stream instead. Floris van Hest, director of Dutch environmental group North Sea Foundation, points out that because plastic caps do not get recycled properly, currently they "are among the top five most commonly found items of litter on beaches worldwide." Based on the organization's 2016 analysis of the Dutch North Shore coastline, 80% of bottle caps found littering the shore were from consumer drinks and food packaging, and 70% of the bottle caps were damaged. The deterioration suggests the bottle caps had been floating around in the ocean for a while before being disposed on the shore. According to the research, plastic bottle caps not only disintegrate very slowly, but they're also among the top-five deadliest ocean pollutants for sea life. To reiterate—if you're not using reusable water bottles and metal straws–the best way to recycle a plastic bottle is to rinse it out, replace the cap and put it in the bin. That’s it. But, one word of caution: Make sure to contact your local recycling facility to ensure they have the right equipment to process the caps and bottles. If they don’t, ask for their preferred method of sorting and simply follow that instead.